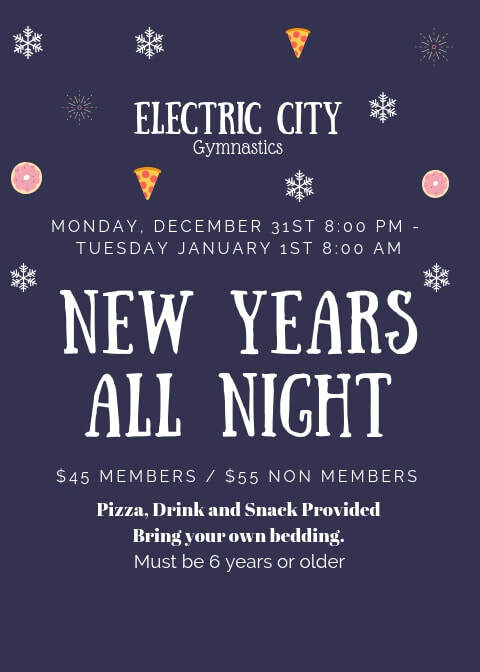 Join us at Electric City Gymnastics to bring in the New Year! Spend the night celebrating with Fun Gym, Games, Obstacle Courses, Movies and More! Must be 6yrs or older.